For those who take their coffee fast, dark and intense - espresso is the way to go. 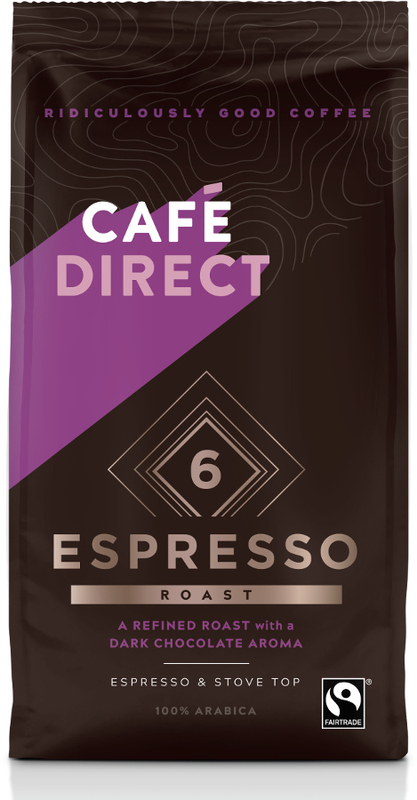 This espresso blend is a taste explosion of full-bodied, intense velvety textures with a sweet aftertaste and an aroma of dark chocolate and black cherry. 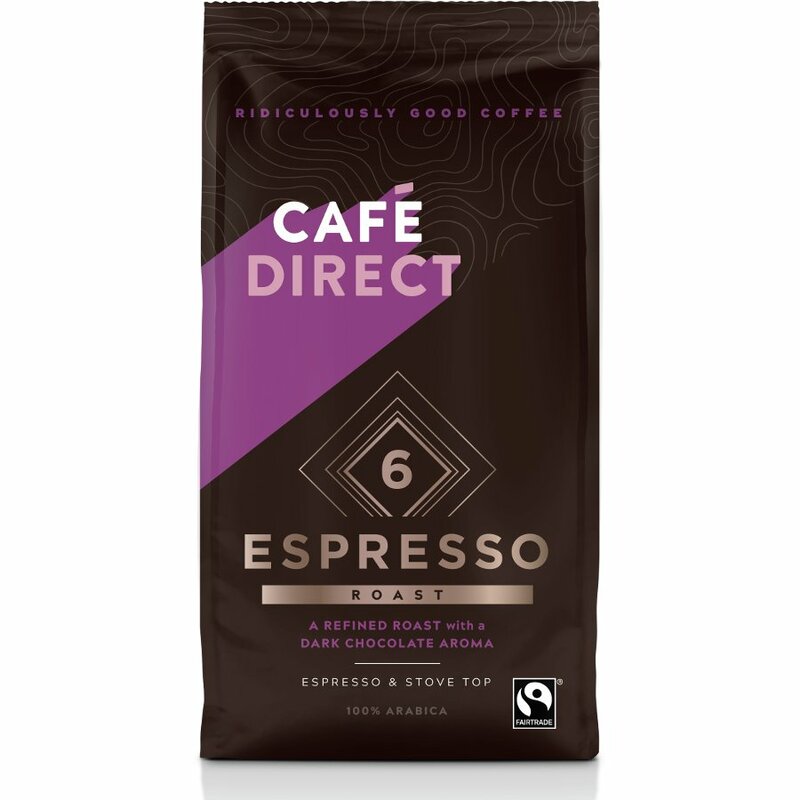 And, because Cafédirect are sticklers for every last detail, this blend delivers a little bit of froth on the top of each shot – known as the ‘crema’ – a sign of true quality. Ideal for use in filter and espresso machines. Great tasting coffee, and strong! Q: Could you tell me is this product 60 per cent aramica and 40 per cent robusta coffee? A: This product is 100% Arabica beans. Arabica beans are considered much higher quality than robusta beans.